Exercise is 'King,' Nutrition is 'Queen.' Put them together and you've got a Kingdom. Trying to establish this 'Little Kingdom' for children at iSpark 🙂 is her role as a Nutritionist. She is a registered Dietitian with an MPhil Degree in Counseling and Masters in Psychology. She has 20+ years of experience in Nutrition and Diet Counseling. As the Marketing Executive his role is to work along side the Business Developer & to help create a healthy marriage between the finance and marketing departments. His dedicated efforts protects the business from any discernment and even when clouds cover iSpark with darkness, he's sure to strike a deal or two! Sangeetha as our Admin-coordinator helps in smooth transactions of commercial processes, documentation and also acts as a strong bridge between the Management & the Staff. A man of self-confidence entered the fitness world ten years back and was crowned as Mr. Tamil Nadu. 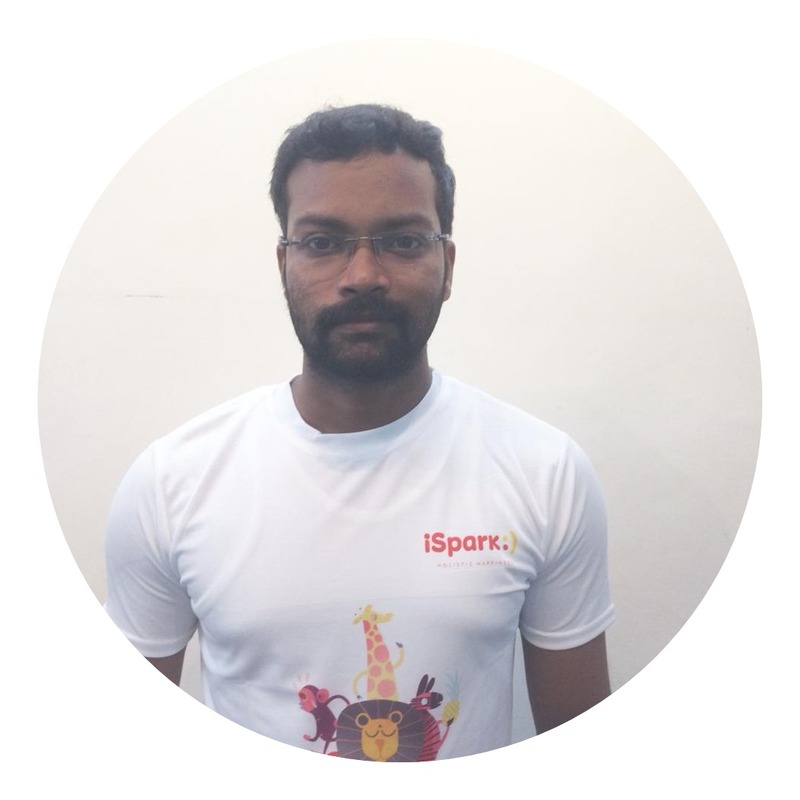 Sprinkling the sugar of motivation to fitness seekers for the past 7 years, taking complete charge of iSpark's Fitness aspect and of course topped with a Bachelor's in English and Fitness certification, is what he is all about. An amalgamation of positivity & buoyancy, Praveena is the front office in-charge at iSpark. Her love & compassion for children makes her both enjoyable and pleasant. She has a B.Com Corporate degree from Chennai and also has about 5 years of experience in this field. A person who loves to achieve her goals faster than ever, this young Techie at iSpark dreams to explore the unexplored. With focus and a vision large enough in her eyes, this B.Tech graduate aims to give her BEST and a little more, in whatever she does. 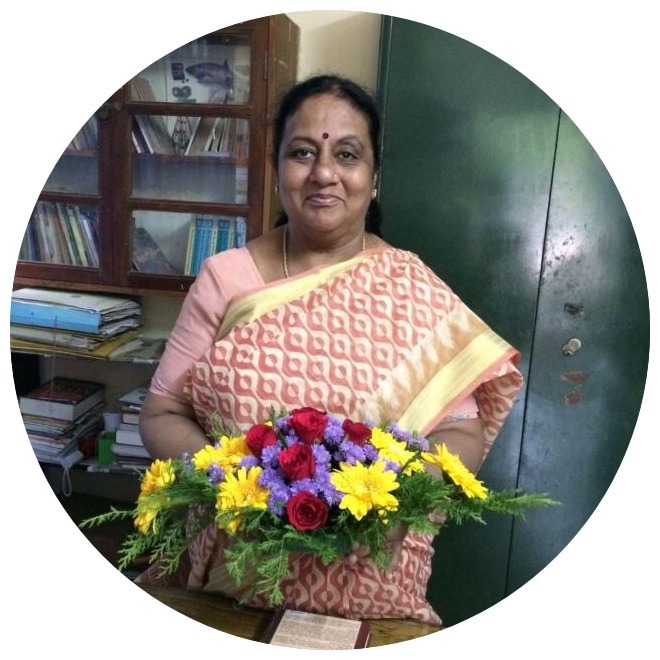 Mrs. Geetha Ravimohan stepped into the portals of iSpark as a senior teacher after her retirement from Vidyodaya School, Chennai. A well-experienced physiotherapist with established knowledge in handling patients according to their ailments and also their psychology, Preethi has achieved awards for her work in the field of orthopedics & neurology. Currently she organizes Physiotherapy regimes for the children at iSpark in congruence with the goals of the fitness trainer. As the Accounts and Marketing Coordinator, Ebeneser aims to take the vision of iSpark forward by multitasking various activities at iSpark.